A company director who defrauded the public purse out of nearly £300,000 has been jailed for more than three years. Valerie Windsor (55) failed to pay HM Revenue and Customs (HMRC)_VAT and tax and National Insurance deductions from employees at Peterborough software firm Object Laboratories International. Windsor, of Thorpe Road, Peterborough, even provided fake P60 forms for workers, tricking them into thinking the tax had been paid. But she was caught when one of the workers queried his tax contributions with HMIC, and an investigation was started. 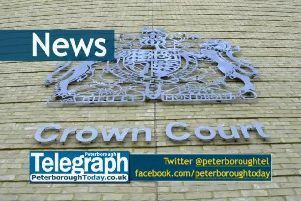 On Monday, Windsor was jailed for a total of 45 months at Peterborough Crown Court, as Judge Sean Enright said she had breached the trust of both her employees, and the revenue. She pleaded guilty to being knowingly concerned in the fraudulent evasion of income tax, being knowingly concerned in the fraudulent evasion of VAT, making or supplying articles for use in fraud, and acting in contravention of a disqualification order. Co-director Gerard Boucher (60) of Manor Lane, Sunbury on Thames, was given a 12 month prison sentence, suspended for two years after pleadeing guilrt to acting in contravention of a disqualification order. Nicholas Smith, prosecuting, told the court all the staff had been paid, and had not lost out as a result of the fraud. Hover, HMIC found that £15,957.93 of income tax and £141,533.64 of VAT had not been paid- a total of £292,491.57. The fraud lasted between November 2008 and November 2013. He said both Windsor and Boucher had been disqualified from being company directors in 2008 - but continued to run the firm. He said while Boucher’s children were named as directors at Companies House, workers never saw them, and as far as they were concerned Windsor and Boucher were running the firm. Ashley Hendron, defending Boucher, said his client had a series of health issues. Joe Hingston, defending Windsor, said she had not gained anything from the fraud, and had even sold her wedding and engagement rings to support her through Christmas. Windsor sobbed in the dock as Mr Hingston said: “There was no evidence of a lavish lifestyle. Her health is in decline with the business problems and the death of her sister, which she has not come to terms with. “She has had a long standing alcohol misuse problem. Sentencing, Judge Enright said; “This was a breach of trust against both the exchequer and the employees. It was sustained over many years. Along with the custodial sentences, Windsor was disqualified from being a director of a firm for 10 years, and Boucher was disqualified for five years.